Post subject: Will Hillary Clinton Run Again In 2020? I think she has too. I do not know if she will win the primary this time. Last time she was batting against D-List Democrats. This time I think she will lose to the best and brightest the party has, like Cory Booker. are you kidding? Even the democratic party establishment is not that stupid....Unfortunately its takes money to run, what person in thier right mind is gonna invest in Hillary? 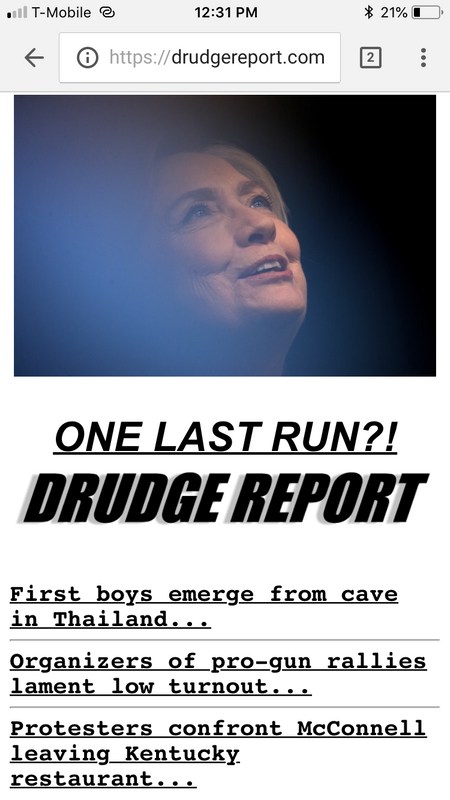 oh yay, hope Hillary does run again, three time loser alert! She won the popular vote last time. And will rank and file Dems prefer a moderate Hillary to a radical like Bernie? Or will the centrists choose Lady Hiawatha as the new Hillary? I'm guessing it will be Kamala Harris. Actually, Hillary was probably the only candidate Trump could have beaten. Brilliant strategy by the Dumocrats.